In today’s world of lighting design, how do we define architectural lighting as it pertains to low-voltage lighting? In its purest sense, it is lighting with the specific intent of calling attention to a home’s unique architectural styling and details such as ornate columns, natural stone façades, decorative arches and interesting window and Gable details. 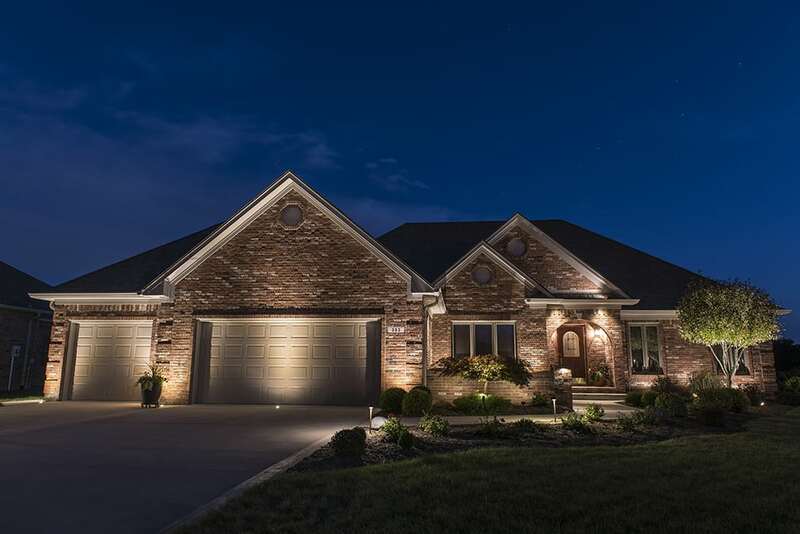 There’s been a growing trend over the past 15 years, for lighting designers and installers to incorporate more architectural lighting into their lighting designs beyond just the typical landscape lighting found in the garden spaces. This trend has become far more prevalent in urban areas than it has been in rural areas. communities and into a broader range of communities and residential neighborhoods. upon the location of their home. architectural details to show off than their rural counterparts. Let’s consider for a moment why these two factors are so important. wait to gain entry by breaking into the home unseen. easier and safer due to the increased illumination around entryways and walkways. to balance the visual focal point of the home. that clients in the metro areas call for. landscape accents and lighting to increase the usability of outdoor spaces. Should I light this? Is this home really interesting to look at? Are there details about the architecture that are unique? Remember- just because you can doesn’t always mean you should. Up lighting a plain, blank box of a house is not really all that exciting to look at, therefore in these cases consider a more subdued look incorporating more landscaping and possibly casting shadows against the walls. Do light: Columns, arches, natural stone, stucco or interesting brick. Wall texture is a big factor when I consider up lighting. The more texture- the greater the contrast of light and shadow. Do light: Interesting dental moldings and gable details. Construction details such as decorative shutters, window boxes or even decorative iron and stone work. Do light: Around doorways, windows and daylight basements. Security is the key here. You are looking to eliminate dark hiding places in a very subdued and subtle way. Most lighting which is done for aesthetics also doubles as passive security lighting. Remember this when designing your lighting- security lighting doesn’t have to be obvious or obnoxious (as in a double-headed flood light from the eave). Don’t try to eliminate all shadows from the architecture. Remember, it’s accent lighting. The play of light and shadow is a good thing. A small degree of contrast is desirable- the home doesn’t need to look the same at night as it does during the day.